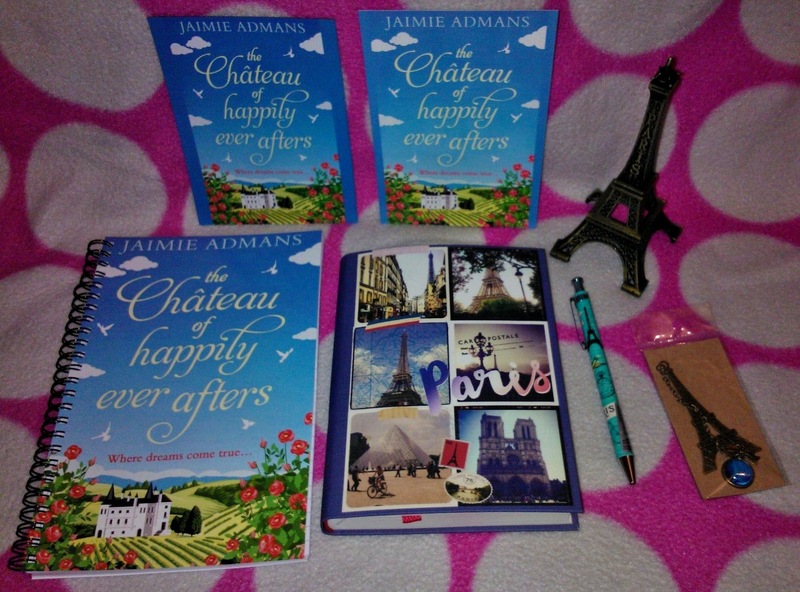 Today I’m taking part in the virtual blog tour for The Château of Happily Ever Afters by Jaimie Admans and at the bottom of this post you’ll find details of French inspired giveaway. Wendy is emotionally damaged and mourning the death of her elderly neighbour Eulalie, the closest thing to family she had, when her life changes forever. 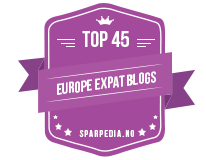 Having witnessed Eulalie’s frugal life in a tiny flat in London, it is a shock to discover she once lived in a château in France. It is even more of a shock to find she has left the château to Wendy in her will. However, joint ownership must go to Eulalie’s great nephew Julian, who is equally shocked, as he had no idea he had a great aunt, until she died. This book is all about Julian and Wendy getting to know each other, learning about Eulalie and their château in France and in doing so, discovering things about themselves too. To begin with Julian is an annoyingly organised and upbeat ‘git’ (to steal Wendy’s word), but I soon found it was Wendy I was feeling annoyed with. It’s always good to ‘feel’ emotions about a character when reading, but I just wanted to shout, “Seriously girl, cut the whinging and sulking and just enjoy the view.” I certainly don’t think I’d have minded sharing a château with Jules. I will admit that I was a little concerned (from the title) that this would be a slushy, lovey-dovey read. Thankfully I soon realised I had nothing to worry about. What I found was a love story that had more emphasis on falling in love with a château and it’s land in France, than slushy coupling. I might not live in a château, but I know the feeling of falling in love with France quite well and I did experience that familiar warm and squishy feeling I get when I think about our own orchard in France – nowhere near as grand, but Jaimie obviously ‘gets’ the buzz about growing your own produce and cooking with it, just like I do. From freshly baked breads and cakes, to old recipes using local produce, there were many times this book made my mouth water. Eulalie was my favourite character. A real spark, with mystery and a wicked sense of humour and just like Jules, I wished I’d known her too. Throughout the book the château gives up some of Eulalie’s secrets to Wendy and Jules, but I’m sure there is more to learn. In so many ways this book finished leaving me wanting more and if I may be so bold Jaimie, I’d love to return and see it running as a wedding venue; offering brides and grooms their own Happily Ever Afters. 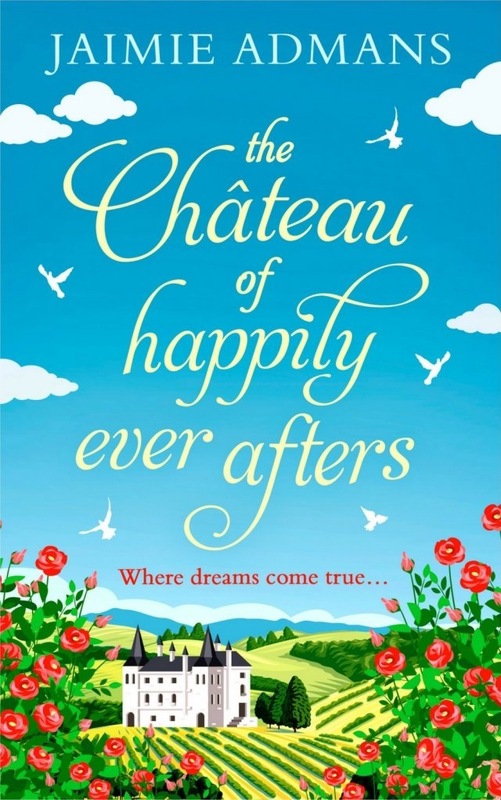 The Château of Happily Ever Afters is available in ebook format, currently for only 99p and a link to Amazon can be found below. 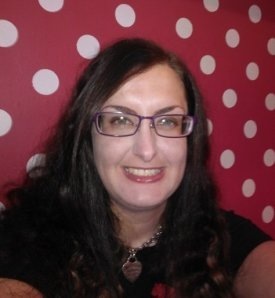 You can read more from Jaimie at her website and follow her on Twitter and Facebook. 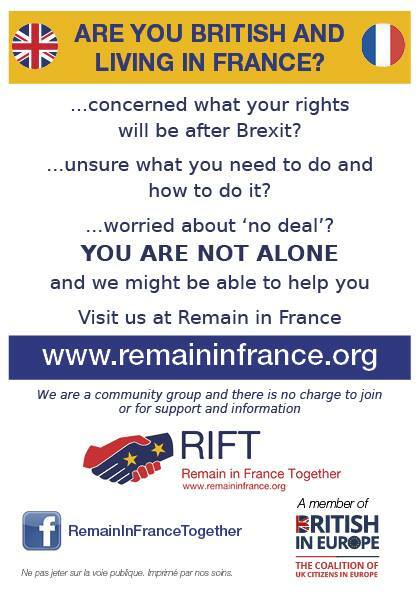 Join me back here on Friday when Jaimie will be answering my France et Moi questions. To enter this gorgeous French themed stationery goodie bag Giveaway, just click on the Rafflecopter link below. 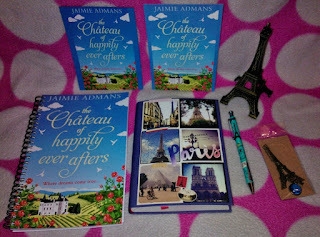 1 Paperchase Paris notebook and pen, 1 The Château of Happily Ever Afters notebook, 1 little Eiffel Tower model, 1 Eiffel Tower bookmark, 1 The Château of Happily Ever Afters magnet and 1 signed postcard. Good luck.